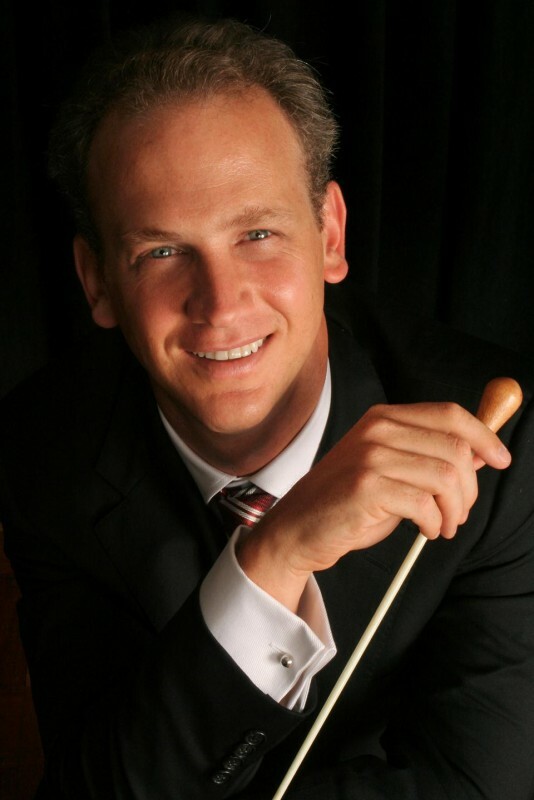 All of the conductors have come and gone: the three official candidates to succeed Michael Christie as music director of the Colorado Music Festival, the unofficial candidates, the popular favorites, and the other guest conductors. Now it’s up to the CMF board, the search committee, and the new executive director, Andrew Bradford. The decision will be entirely in their hands: there will be no musicians from the orchestra and no CMF staff members other than the newly-arrived Bradford at the table. Deliberations will begin this coming week, with a decision to be announced after all the details fall into place. Let’s hope everyone’s blood has gone off the boil as the decision gets made. Here is what we know: the committee originally selected five finalists. These were culled from recommendations to the board as well as applicants who contacted the CMF. 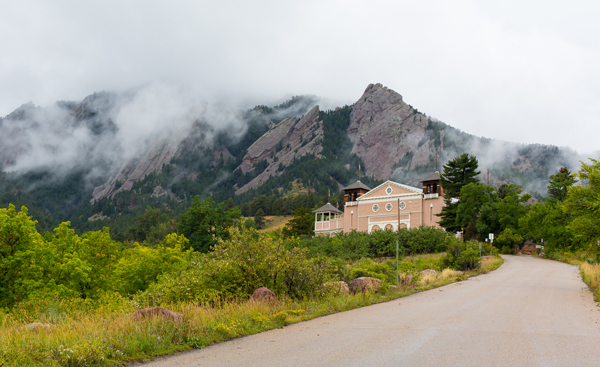 Of those five, three were able to schedule a full week of concerts here at Chautauqua during the summer, with two different programs each—one for the full symphony and one for chamber orchestra. These were the summer’s official music director candidates. I have posted interviews with all three: William Boughton, Carlos Miguel Prieto, and Jean-Marie Zeitouni. Many of the guest conductors were clearly not in the running for music director. Michael Butterman, the director of the Boulder Philharmonic who conducted the opening night concert, has stated he did not want to take on the festival. Cynthia Katsarellis, director of the Colorado Pro Music Chamber Orchestra in Boulder who conducted children’s concerts, was not in contention. With some of the other guests, the status is more murky. With word getting around that some of the guests were popular with musicians and others in the community, the search committee released a statement Aug. 1 that concluded “we will be looking at everyone we have seen,” a splendidly ambiguous sentence that might refer to the other guest conductors. Or might not. In reality, however, Cardenes can be ruled out as a serious candidate. The board would be unlikely (and unwise) to hire someone who has never conducted the CMF orchestra and is unknown to the public, after so much time and energy has been invested in the other candidates. 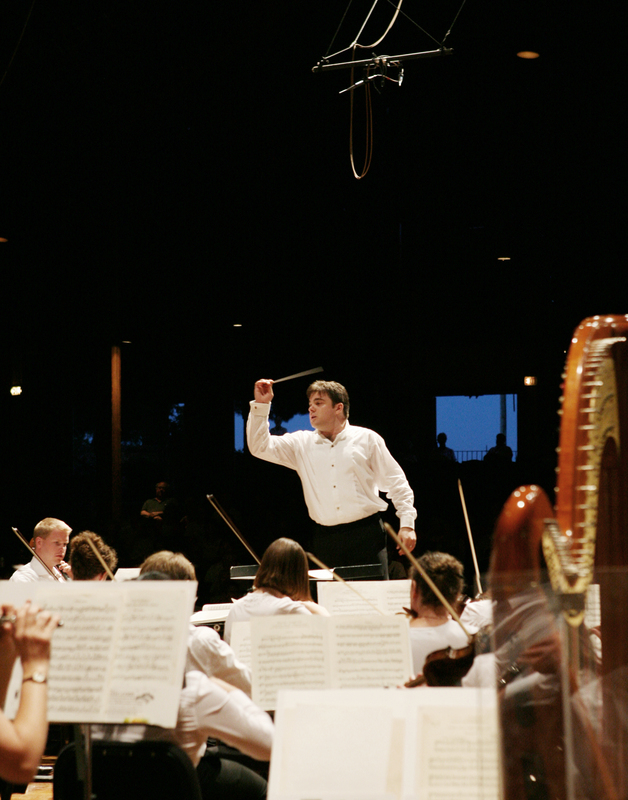 The music director’s job is far more than what the orchestra and the public see on the podium. He has to maintain relations with the executive director, the board, major contributors, and other cultural leaders in the community. He has to help raise funds for the festival. And he has to be able to plan a six-week festival that engages successfully with all of these constituencies. Much of this work is done behind closed doors and is invisible to public and critics alike. But of course he must also excite musicians and audiences with his performances. In other words, the public part of his job has to be exciting, if not spectacular. The first to appear this summer, William Boughton has a British charm that Americans love. He would be excellent in the social aspects of the job—working with boards and contributors. He is also a decent conductor who did a good job with the concerts he led. But it was no more than that. The performances were solid but not exciting, and I fear that the festival under his direction would not have the cutting edge it needs to keep growing. As much as I enjoyed Boughton’s presence at the festival, he would be my third choice of the three official candidates. 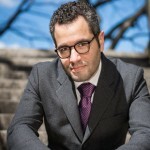 Jean-Marie Zeitouni, the most recent of the candidates, would be second choice. He led an impressive performance of a couple of virtuoso orchestra show pieces, the Richard Strauss tone poems Don Juan and Ein Heldenleben (A hero’s life). The performances showed off the orchestra’s skill and Zeituoni’s ability to manage the orchestral forces. But the interpretation was too one-dimensional, with too much reliance on the orchestra’s ability to deliver a impressive sound. A more nuanced interpretation would show a more consistent balance within the orchestra, create a contour over the entire span of a large work, and deliver a greater impact at the end. In other ways Zeitouni does not seem a good fit for Boulder. He is more of a maestro than the others, which implies a kind of distance that could create barriers. I do not believe he would work effectively with the public, the board and the donors. My first choice of the official candidates is Carlos Miguel Prieto. I loved his program of Diaghilev ballets, and it was especially exciting to hear the full, original version of Stravinsky’s Petrushka, which is exactly the kind of programming that a summer festival can exploit. In that one concert he showed the knack for creating a program that is both musically exciting and intellectually engaging. His rapport with the musicians and the genuine enthusiasm with which he recognized the players was evident. Because the Colorado Music Festival depends to a larger extent than standing symphonies on the personal relationships among conductor, players and public, that is an especially important quality for the next musical director. His past record of leading a festival in Mexico City and creating programs based around interesting ideas is very appealing for the CMF. He was very approachable, he seems gracious and personally charming, and shows a great enthusiasm for the music he is conducting. I believe he has the ability to take the festival into the future. One other conductor needs to be mentioned. I have never seen a greater show of enthusiasm for a conductor from an orchestra than the CMF players showed to Andrew Grams at the end of his very exciting concert of Russian masterworks. The entire program was electrifying, and his work with piano soloist William Wolfram was magical. conducting engagement an opportunity to build relationships for the future. Whether as guest or in a more permanent relationship, there is no doubt that Grams is interested in the Colorado Music Festival. “The time that I’ve had here, just with the musicians alone, has made this whole festival seem incredibly attractive,” he said. It should be noted that neither Grams, nor anyone from the festival, used the word “interview” to describe the contacts. But the concert he conducted, and the rapport he established with the musicians, were such that we should all hope that the connectivity he found here will continue into the future in one form or another. 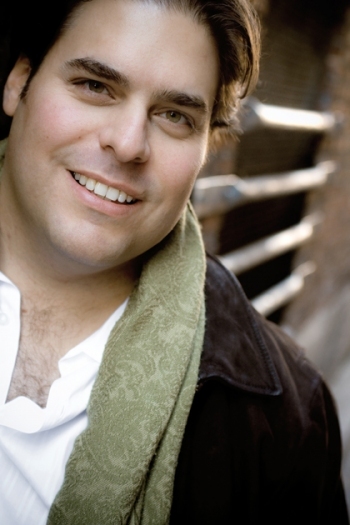 The final word about the search should go to Michael Christie, a music director so beloved to Boulder audiences that I heard several festival patrons discussing the newest addition to his family on the Hop2 Chautauqua bus after a concert. He truly became like family to many in Boulder. Earlier this summer, I asked him if he had any thoughts about the future of the festival he had led so successfully. “Naturally, I wish them and their future leaders well,” he said. The stakes are high. Let us all hope that the board has found the director who can build on Christie’s foundation, and that he will rebuild the festival’s impressive momentum from past years. NOTE: Corrections have been made to this post on 8/10/14. I inadvertently typed “Colorado Springs” instead of Steamboat Springs as the location of the String Music Festival, and I originally typed “about six” candidates when in fact my notes show that I was told there were five. To be clear, Kelly, I was not personally attacking you, just registering that I strongly disagreed with something you wrote. Certainly I was not claiming that every single piece was standard repertoire, just that overall the season mostly presented safe, mainstream works, including “The Three-Cornered Hat” and “Ein Heldenleben.” If CMF continued to program in this conservative way, I think the audience would drift away, and CMF would not survive. Of course programming a Beethoven mini-marathon, etc. is necessary. Fine with me. But if we look at the national orchestral scene and today’s concern with declining audiences, we find the top, most cogent observers (see Greg Sandow, Alex Ross, Mark Swed, etc.) pretty much all agree that presenting new music is an essential part of a healthy season. So, yes, it’s disappointing and shocking to find a critic taking the opposite viewpoint. I’ve never heard someone claim in classical music circles a 40-year old piece is recent. Nope, it’s not. Christie’s program to perform a freshly commissioned work each year was brilliant and bold. His CLICK! idea was unprecedented, ahead of every other orchestra in the country. I hope the new conductor will continue this wonderful innovation. One such 10-minute piece within the overall season is hardly “too much.” This suggests you are rather uncomfortable with new music, which is unfortunate. 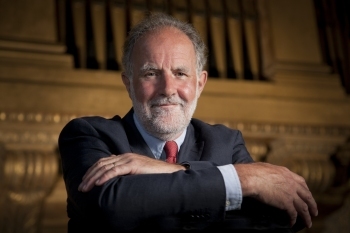 The 2000 requirement for candidates to conduct new music was an excellent decision, and I think helped in the choice of the wonderful Michael Christie. They should have done that this year as well. Thanks for your time and energy in writing about CMF. It’s a fine institution, with a long, impressive history. Tom, I obviously made a knee-jerk response in an overly defensive way, and I apologize. But I don’t think I’m being fairly represented. I’m neither uncomfortable with nor opposed to new music (by which I assume we mean world premieres or pieces less than five years old or so). But I do think that, especially with world premieres and commissions, it’s a little like Forrest Gump’s sage observation that “you never know what you’re going to get.” Obviously we wouldn’t have any old music without any new music. Everybody knows the stories about what people thought of “The Rite of Spring” and “Pierrot Lunaire” when they were first performed. Sometimes, a new work becomes a standard classic fairly quickly–a case in point would be Heggie’s “Dead Man Walking,” which was so movingly performed at Central City this year. It is true that I am not particularly passionate about the issue, however, and perhaps that is a fault. Brand new works are not essential to my enjoyment of a concert or a festival, as long as there is some adventurous programming and the conductor makes bold choices–which I think most of this year’s guests actually did. Boughton’s chamber music concert was pretty much all relatively unknown music, especially since he did the full ballet of the Ravel “Mother Goose” instead of just the five-movement suite. Prieto’s boldest choice was “Estancia,” and let’s face it, not a lot of conductors are programming Sturm und Drang Haydn these days either. Gersen had the Copland. Grams did not take a lot of risks, but his programs were so enjoyable and impeccably presented that I couldn’t take real issue with that, and his collaboration with Wolfram on the Prokofiev was an incredible sight to behold. And then there was Zeitouni’s extremely unconventional no-wind chamber program, from which the audience stayed away in droves (I hope it was because of the Ironman). I agree with you on the Click! program, and in fact, it was not every season. There was not a commission in 2012, as I recall. Christie did the Jay Greenberg symphony on the final concert, though. So it’s not fair to say that I have strong feelings against new music or that I am uncomfortable with it. It is fair to say that it’s not what matters most to me. Which is why the lack did not diminish my enjoyment of a season with a huge variety and diversity of works (and I think Peter’s points there are very measured and balanced). I certainly don’t think it diminishes my writing about or advocacy for the CMF or classical music in general. And I do see your point about a 40-year-old piece not being “new” (except in the sense that I did not know it, so it was new to me). To illustrate my point, when Brahms died, Liszt’s E-flat Piano Concerto and Verdi’s “Simon Boccanegra” were 40-year-old pieces. But Liszt had only been dead for 11 years and Verdi was still alive (and had just written “Falstaff”). They weren’t fresh, but they weren’t fossilized either. Of course, Britten was basically on his deathbed when he wrote that piece. Boughton’s chamber *orchestra* concert, not chamber music. Thanks for your latest comments, Kelly. It seems reasonable for a critic to not personally be a fan of all areas of classical music. So if you meant personally it’s “ok” you didn’t hear any new music, that seems fine. But I would have trouble with someone saying a biggish festival not programming new music in a season of around 50 works is “ok.” These days, that is not a viable choice. I’d guess every major orchestra in the country performs new music every season, and they regard this as essential. Ha! You mention “Zeitouni’s extremely unconventional no-wind chamber program, from which the audience stayed away in droves.” That was the first concert I circled on the season calendar, and one of the few I attended. Of course I know I’m not typical, and don’t expect CMF to program for my niche interests. But think how interesting it’d be to have the fine Bernstein piece performed alongside, say, a Mozart symphony or the Enigma Variations. That could be a stimulating concert. Or a major John Adams work alongside one of those big Strauss pieces. Traditionalists might well find something to like in the Adams. Music becomes a living art. Yes, it seems I misunderstood your attitude about new music. Happy to be wrong. And I’m very pleased you were also a fan of the Click! program. I am enjoying the exchange here, although I ask everyone to keep it nice. Two points: Kelly, you must find the ending of “Petrushka” more bleak than I do. Every time I hear it, I am both moved and amazed by what Stravinsky accomplished in this score. There is so much color in the final act that builds up to that ending, which I describe as mysterious rather than bleak. And as I said, deeply moving. Anyway, thank you for your response. Tom: While I share your desire to hear pieces newer than 1974, I think you are a little unfair to call the season “lost.” The CMF had to hire a new music director, which required auditioning potential candidates. Because of the way programs were put together, no one person could oversee the whole summer, what was and was not included. There was no music director, nor professional executive director, on hand to insure balance, chronological, stylistic or otherwise. This is what I meant by colorless: there was by necessity no particular personality to the season. It’s true that there was no new music chronologically, but there was plenty of music that was new to the audience. I still found several of the concerts intriguing, and I heard a lot of music that I enjoyed. And I heard some new conductors that I was happy to see and hear in person. Finally, to Tom: We should be glad that the Daily Camera HAS a music critic. And to Kelly: We should be glad that there are listeners who care so passionately about the music. Kelly, I think you may have overreacted to Tom’s use of the word “shocking.” Having been close to many composers and new music aficionados, I know exactly what he means. Single-issue listeners are always passionate about their interests. I maintain that both of you are entitled to your opinions, and we all are—or should be—united in our support of artistic and musical institutions like the CMF. Or as Kelly put it, we are “publishing to the choir.” And I have always tried to be kind to the choir members. At least they show up. Peter, I posted my last comment without having seen your latest thoughts. Yes, right now “lost” is probably not the right description. But, somewhere down the road, say in 10-20 years, I think this season will register as undistinguished. Yes, there was no music director to deal with the big picture, but as Kelly pointed out, the 2000 season required potential conductors to a new piece. A good idea. Yes, I am glad we have a classical music critic. I was friends for years with predecessors like Wes Blomster and David Pocock, and their valuable observations about local classical activities very much helped shape this world. And I’m aware that for years we’ve had no film critic, so I don’t take Kelly’s work for granted. And I should add I’ve been pleased to discover your blog which clearly brings some salient observations to our classical world. Though obviously I have a strong interest in new music, I’m not sure I want to be identified as a single-issue listener. Probably my deepest experiences at CMF were Giora Bernstein’s probing, intense, deeply moving performances of Mahler symphonies. Those were highlights of every season for me and just about everyone else. However, I maintain that mainstream repertoire and new music are not mutually exclusive. They can sit side by side, enhance each other, and bring interest and vitality to the overall season. Some of my above comment was somehow snipped out. There were meant to be two separate quotes from my Feb. 23 article, but what I wrote between them is not showing up for some reason. I said that regarding the mash-up and the world music series, Mueller had flat-out said that some of the world music concerts were “awful” and that he claimed Christie agreed with him. I said that I softened this in what I actually published, then introduced the second quotation. WordPress must have had some issue with my format or something. I’m sure you have seen my column on the subject for the Camera. I couldn’t be as detailed as I would have liked, both because of space limitations and because of requests from the committee to avoid a public pronouncement on who “should” get the job and who “should not.” So it was admittedly rather generic, as far as opinions go. I kind of take issue with your assessment of the season as “colorless.” I thought there was a great variety of works and none of the Sunday or Thursday/Friday concerts (except for the unavoidable patriotism/pops concert) was hijacked by a “concept” program that ended up falling flat (as some of Christie’s very much did over the years). Yes, the newest work of the whole season was a 40-year-old piece (1974) by Britten, but that’s OK. I’m all for “new music” and world premieres, but I think they can be overdone, and sometimes the pieces end up being, to be diplomatic, not very good. As you probably know, I have disagreements with you on Prieto’s big program. It really was a lot of music for the orchestra and the audience to digest, and I thought that placing “Petrouchka” at the end instead of “Three-Cornered Hat” was disastrous. They really should have been reversed, and a lot of people agree with me. However (and you didn’t mention this) his chamber orchestra concert was utterly sublime. Glorious Beethoven 4th and transcendent Mozart concerto with Vonsattel. On the Mash-Ups, I agree with you on the “actual” mash-ups. They are interesting, even if some in the orchestra and the patronage revile them. But I’m not big on the glorified pops programs. But I don’t really miss the World Music acts either. Some were enjoyable, but when the season was over-saturated with them (in a couple of years at the expense of chamber music, which has thankfully returned at eTown Hall), many of them ended up being, for lack of a better word, crap. I agree with you on Grams. I actually loved Gersen’s concert as well, but I have it on authority that he is really not in the running. And Chris Mueller told me as early as my preview article for the season when it was announced that “all guest conductors” would be looked at. The statement that was released on August 1 was simply making that public, probably because Grams is being given serious consideration. Thank you for your comments. I will respond to just a couple of your points. I don’t see how “Petrushka,” with the size of the orchestra and the brilliance of the color, could have been anywhere except the end of the concert, but critical differences are good for everyone. Concerning new pieces being “not very good,” failures are the costs of taking risks. I agree that some of the new pieces in the past were not great pieces, but I would rather have risks, discoveries and challenges, with failures, than a festival that sticks to the well known and predictable. I agree that the festival benefits in many ways from the chamber music evenings. It is a great opportunity for both the players and the audiences. I cannot agree that the world music events were “crap.” While not all of them appealed to me, the strength of the festival has been its ability to appeal to a broader audience than musicologists. And while I am sure that some were more successful than others, you are exactly right that the money spent promoting the mashup series was a questionable investment—and especially for the pops concerts. I have heard a lot of talk about the cost of the food for those events. If there are going to be pre-concert parties with free food, they should not be concentrated on just three nights and one concert series. Later I asked again if anyone on the board or the search committee would like to comment on the excitement that Grams had generated with public and musicians alike, and the rumors about his interest in the position. I was sent the statement that was quoted in my earlier blog post, and also then had the opportunity to speak with Grams, both on Aug. 1. So yes, that statement made public what had been said, but everyone else I have spoken to from the CMF, before and after that statement, both on and off the record, has stressed that there are only three finalists. Still, Mueller said, the board wanted the candidates to take charge as much as possible so that there is a good idea of what kind of programming they would choose as director. He stressed that music of 27 composers total from nine different countries will be heard. Basically, the world music series was hit and miss. Some of the acoustic, more intimate acts really spoke to me. The heavily amplified ones, not so much. Here is my thinking on the order of Prieto's Diaghilev program. The ending of "Petrouchka" in the 1911 version is terribly bleak. Now, it's possible for a piece with a bleak ending to successfully close a concert. Tchaikovsky 6 and Mahler 9 come to mind as obvious examples of bleak endings that can only close a concert. "Petrouchka," for all its brilliance, is not quite as weighty as either of those pieces (or even Stravinsky's other two Diaghilev ballets). And when you have another significantly longer piece with a grand and jubilant ending (which was also written a few years later), I don't see how that is not the post-intermission work. When Christie programmed "Petrouchka," it was pre-intermission (admittedly it was the 1947 version) and it was followed by Rach 3. I agree that this CMF season was indeed “colorless.” I’ve attended CMF concerts since the beginning (I was at the very first concert), and this was likely the least interesting, most boring season in CMF’s long, distinguished history. I attended the fewest concerts ever, and know that one longterm fan planned to attend just 1 concert. It’s shocking to read a local music critic state it’s “ok” that no recent music was performed. No, that is not acceptable. A music festival based on performing just standard repertoire will eventually expire. CMF should engage with the present, and not become a museum of antiquities. Naturally every new, fresh piece will not be outstanding, but exploring contemporary music makes the festival alive, vibrant. The considerable success enjoyed by both Giora Bernstein and Michael Christie derived in part by their active engagement with new music. I don’t know if the Mash-Ups are ultimately successful in stimulating new classical concert goers, but I appreciate the effort to engage the broader public (even if these don’t personally interest me). There were some worthwhile World Music concerts in the past. It seems to me there could be room for the best of both. Overall, I consider this essentially a “lost” season, necessitated by populating concerts with standard repertoire as tryouts for the guest conductors. Let us hope the next conductor will have the skills and adventurous spirit reflected by his illustrious predecessors. I’m sorry, but to claim that a season including “The Three-Cornered Hat,” “Estancia,” The Copland Third, and “Ein Heldenleben” is “boring” just doesn’t fly with me. Are you really claiming that every work programmed this season was “standard repertoire?” Because that is just flatly and demonstrably false. And we already know exactly why the season was programmed the way it was, and why this was unavoidable. To complain so bitterly about it is disingenuous. It comes down to butts in seats. A lack of THOSE is what causes a festival to “expire.” The candidates in 2000 were required to program a very contemporary piece. And there were a lot of empty seats that year, and very few of the ones that were occupied were by people under 50. Christie was successful because whenever he programmed something bold, new, and experimental (many of which did indeed fail) he balanced it with things like a Beethoven marathon mini-festival. You have to do that. I felt that a freshly commissioned new work EVERY single season was just too much. I’m sorry, but I did. I guess that strips me of my credentials and renders me impotent as a spokesperson for classical music in the Boulder community. You are entitled to your opinion, of course, but I’m not going to let a personal and professional attack like that stand without a response. And incidentally, as I said (in a reply that somehow shot up to the top when I wanted to clarify something that was weirdly deleted–WordPress is not being kind to me), Christie himself was claimed to have been dissatisfied with several of the World Music events. He personally talked to me on several occasions about guests and acts that ended up not being artistically satisfying to him.